The SATAjet X 5500 featuring the new X-nozzle system now defines a new application standard for the future. 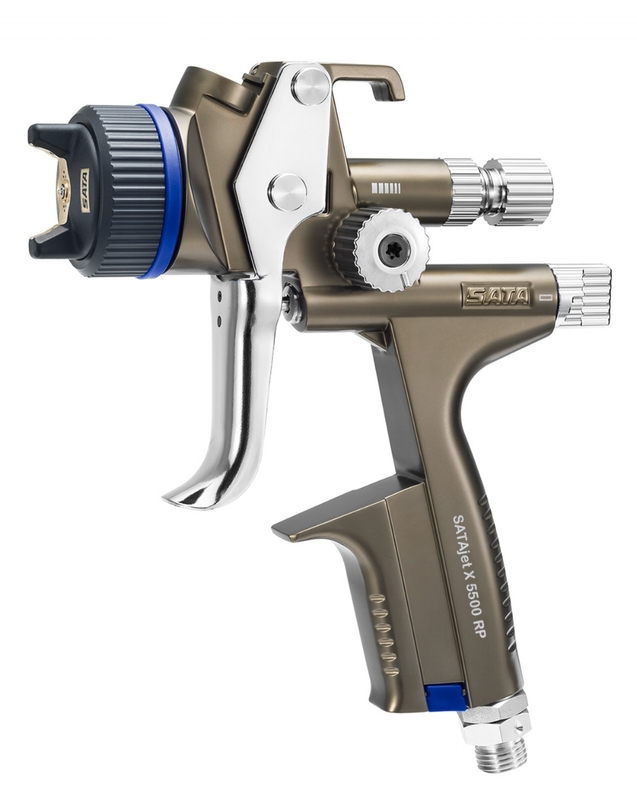 Tony Larimer, director of sales and marketing for the Dan-Am, explains the new spray gun and the difference it will make in a shop. • Droplets are finer and closer together than ever before; this means faster coverage with less paint. • Designed for Full System Application: solvent-based basecoats, either Low VOC or National Rule as well as sealer and clearcoat. The entire SATA gun range works in harmony with the SATA RPS cups to offer fast working speed and consistent results, that make every repair predictable in product cost and appearance. If you have not yet used the latest in SATA equipment ask your local paint supplier and SATA distributor today for a demonstration.